Ariel Hyatt specializes in digital public relations. She has caught the attention of CNN, Wired, Billboard, Hypebot, and the Washington Post with her unique brand of advice about the uses and misuses of social media. She is in demand at SXSW, the Future of Music Coalition, Grammy Camp, and ASCAP’s I Create Music, among others. Hyatt has also made important contributions to music business studies in the US through her collaborations, for example, with The Clive Davis Institute of Recorded Music at NYU, Belmont, MTSU, and Berklee. Her self- published book, written with Richard Meitin (Minnesota State University, Mankato) and Charlie DaHan (Shanachie Records), Cyber PR for Musicians: Teacher’s Guide, (New York, Huntercat Press, 2013), is now indispensable reading in many college course on music marketing and promotion. MBJ: How does your company, Cyber PR, go about its business? AH: Traditional PR won’t work on its own for independent artists, and that is my clientele. A publicist will get the band a review, an interview, or a media placement. The Cyber PR process is really about something different. It’s about creating a tangible fan-oriented result, attracting as many people as possible to sign up for an email list, to open a newsletter, and to follow-through joining the greater fan tribe. That’s what’s actually going to make an artist career take off. At Cyber PR we understand traditional marketing but we obviously adapt it to today’s environment. MBJ: How did you come to focus almost exclusively on independent artists? AH: When I started my business in the 90’s I was living in Boulder, Colorado It was not exactly a hotbed of major label artists. We had our few breakout artists that did get signed to major labels, like Big Head Todd and the Monsters and The Samples and a few others. But the world that I was immersed in was the world of independent artists, who made their money touring. The paradigm was to stay on the road for 6 to 10 months a year, like The Grateful Dead or Phish. You could also make a lot of money on the road doing what we now call direct-to-fan merchandising. MBJ: What do you find are some of the most common mistakes that independent artists make with their online presence? AH: The first mistake is not to have a strategy, and respond with a random collection of effort that is not thought through. The second mistake is the general urgency to do quick follow-ups without the content to back it up. This happens where there is a tendency to self-promote. We should be at a stage in the arc of social media where people understand that you’re not supposed to be overly self-promotional on social media. I think that what happens is you book the show and the fear kicks in: “oh my god, we need to fill seats.” Or you spend a lot of time and money and effort creating something, so you start tweeting, “buy my stuff, check me out”. The third mistake relates to consistency of placement. One day you might get inspired and be like, “yay we’re starting a Tumblr”, or “we’re gonna really start using Snapchat”, or “we’ll Tweet away”. But keep it alive; don’t let your tweets die after a few months. Same with blogs: artists start them, feel they are wonderful, cool, and fun, but then, after two years they let them die. So if you’re going to open up the can of social media, consistency is absolutely key especially on platforms that people access a lot. I can’t tell you how many times we see clients underplay Facebook results only to find that they haven’t posted for months. Fans notice that and lose interest. AH: It depends on what the musician has going on in the first place. Continuing to build a brand is based on the fact that there’s something happening already. The cornerstone of a brand is the brand story, aside from the music, and what the music sounds like. It starts with the band’s music genre and the band’s location. For us, we’re talking about starting with a band that’s maybe two to five years down the road, not a band that’s already hit mainstream and had a massive success. Be original and don’t copy other bands or look to poach fans of Led Zeppelin or Paul McCartney. So we start with “what’s the story of the band?” and “what bands are 2 to 5 years ahead of them?” “What did those bands do?” and “how did they find their success?” We reverse engineer. We find out what’s going on online, and then can we dip our toes into the same waters. But there is generally no cookie cutter answer. We always have to ask “what is interesting about this artist?” and “what stands out so far?” Are they making videos? Are they really good at Instagram? Are they able to write weird blog posts that we could turn into a series? We have to look at what the band does well. 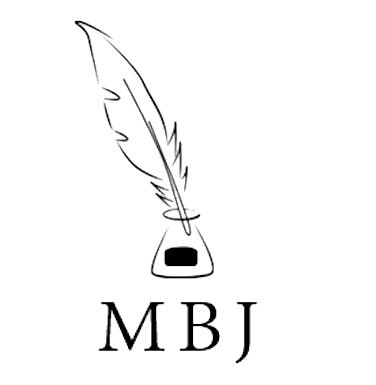 MBJ: Can you tell me a bit about the literature you authored for independent musicians? AH: Just a couple of years into my career, my phones were ringing off the hook, with artists asking, “Oh, hey, what’s PR? And what’s publicity?” I had a booking agency then and could not find the time to answer everyone. So I wrote my first article at twenty-five titled “How To Be Your Own Publicist”. This was before you could just Google “What is music publicity?” I used to use the “The Billboard Guide to Music Publicity” as my bible. Then, as I started building my business, I learned a lot about marketing, mp3s, and file sharing. I really wanted to help, because I also was keenly aware that most of the artists that I worked with, or that were calling, could not afford to pay the thousands of dollars a month that we were charging as an agency. Fast-forward to the advent of social media, and the prevalence of outdated marketing texts, and I wrote the book Cyber PR for Musicians to help artist entrepreneurs and anyone who wants to be in the music space. It was the missing piece in the marketing and self-promotion puzzle. MBJ: You launched your own crowdfunding campaign called “Fuel Your Fans and Launch Your Career” with RocketHub1. As a PR professional and educator, what did you learn? AH: A lot–it was one of the most learning intensive experiences of my career. I was shooting for $50,000 and ended up with $62,000, which was incredible. But crowdfunding is so hard. It looks so simple: you just make a page, then you create some tiers of rewards, you say how much it’s going to be, you choose a date, and then there is the launch. I learned that you have to keep the pedal to the metal for all 30 days. I learned that social media is not where you get most of the people that are going to give you money. Neither is posting stuff on Facebook or tweeting into the ether. Most of the people who are going to give you money are your friends, your family, and people on your mailing list. MBJ: Excluding Amanda Palmer’s campaign, the Top 10 music projects on Kickstarter in 2014 collected between $200-600K. Is this the way of the future, where a label advance is replaced by a crowdfunding campaign? AH: It is difficult to say, but there is truth in the statement. And by the way, it does not strike me as fair. Can you imagine telling the independent creator “oh, guess what, you’re not going to make any money unless you go out, find fans, put the money down, communicate constantly, and knock yourself out all the time?” Still, there is no magical Santa Claus in the sky who is going to come and give you everything. In this day an age you’re going to have to make your tribe, you’re going to have to communicate with them, and you’re going to have to work this and that end of the business. Now more than ever your band has to be a team, both for the crowdfunding campaign and beyond it. What we see at the agency 90% of the time is that one band member does all the business, hires the publicist, works with the radio, works with the promoter, does the booking, and everybody else just kind of shows up and plays. That is a recipe for a disaster. I think when you choose your bandmates you should choose not just people that are great players but you should ask yourself, “does this person know how to use Photoshop, make a decent video, or even know how to drive?” Make a list of everything the band needs to succeed, and make sure that your bandmates are helping you along. Otherwise, you are going to find yourself burned out, exhausted, and overwhelmed. MBJ: In 2008, Kevin Kelly, founding executive editor of Wired Magazine, blogged that to make a living an artist needed only a thousand true fans. How true is that today? AH: I created an entire series based on Kevin Kelly’s groundbreaking article called “In Defense of 1,000 True Fans”. And I interviewed about eleven or twelve artists that were creating their livelihoods off that model. And I actually got them to count how many fans they were supported by. And what I realized was, many of them didn’t even have a thousand true fans. They had 500 fans, or 600 fans, or 200 fans. My crowdfunding campaign was oversubscribed at $62,000 with less than 300 people. This is very exciting, and Kevin could not have anticipated this in 2008. MBJ: Indeed, what new examples of apps or social media do you think are proving especially helpful to indie artists? AH: Anytime you see a platform that has a generous amount of people on it, you better start looking at it, and find out how you can use it to get your message out. There will always be new kids on the block. We had Snapchat, Instagram, Facebook, Twitter, and Pinterest. I don’t know that there’s going to be one silver bullet, but everything iterates pretty brilliantly into the next update. And look at how far Soundcloud, Bandcamp, and Bandsintown have come. These were all apps that were designed exclusively for musicians. At Cyber PR we work all of them. MBJ: Finally, if you had an ideal client, what mindset would you like her to have? AH: It’s just as important to understand how to market and promote yourself, as it is to play your instrument and to be talented. And that’s not what everybody wants to hear. I think most of my clients don’t create music because they really have a big desire to tweet. But tweeting is here to stay, so if you are struggling with it or are uninterested, you may want to rethink that. You work out to live a healthier life. Hate it as you might as an artist, you have to figure out the best way to use social media because your overall soundness in today’s marketplace depends on it. That is how I feel about marketing, social media, and promotion. Besides, I think we need to lose the fantasy that there was ever an artist that became famous just by sticking to her music. There is a myth about some iconic stars in the 70s that laid around on Martha’s Vineyard playing guitar. James Taylor and Carly Simon worked the business end too, and world tours are no picnics. A lot of it is brutally hard work. The self-promotion piece is a newer conversation, but I’ve yet to meet a famous artist that doesn’t work hard at getting his art out there. As a Berklee grad I am aware of volatile the world of earned media can be for no name artist. It is pleasing to see companies that are dedicated to bolstering art (and not fan craze) rise above the surface of traditional paid media. A good read!